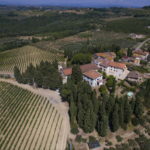 Beautiful aristocratic Tuscan Villa dating back to the 17th Century with private chapel, park and swimming pool. 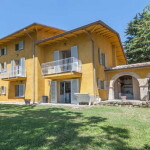 Country house which is ideal to live in and run a small rental business. 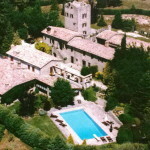 The villa was erected on a rock foundation, which gives to the structure excellent solidity, and has a “U” shape, typical of the aristocratic Tuscan villa, with two wings surrounding the three entrances. The current internal layout has two entrances on each wing of the building but it is possible to unify the property by opening internal doors. The internal chapel with the Pala dell’Altare dating back to 1600 dedicated to the Madonna di Loreto and the valuable plasters decorating the vaults are a proof of the refinement of the property. The property has been exposed to a restoration intervention consisting in the new plaster and painting of the façade of the building and the renovation of the plaster of the tower, as well as the remake of the roof and ceilings according to the most modern insulation techniques. The internal rooms of the villa have not been restored and are, therefore, keeping the same original architectural features. The ceilings are 4 to 7 meter-high and boast rib vaults and coffered ceilings or wooden beams and terracotta tiles. 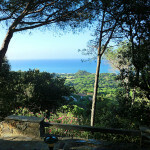 The villa has a total surface of 500 square metres and are composed as follows. Lower ground floor: cellar, chapel, storage room. Ground floor: entrance hall, built-in-kitchen with cooking corner, laundry room, pantry, dining room, second entrance hall, living room, bathroom with shower. First floor: seven bedrooms, four of which with en suite bathroom, bathroom, living room and gallery dating back to 1700, frescoed by a local painter. On the second floor there are two rooms, while in the tower is located a room, where it is possible to create another bedroom. All the bathrooms have been completely restored. The park which surrounds the property extends for 3500 square metres and has been designed as Italian garden with box trees, secular trees, cypress trees, holm oaks, Liban cedar trees, firs, holm oaks and limes. The lawns, planted in 1995, are equipped with automatic irrigation system. The park is lighted with 9 low consumption units placed an all the sides of the building. The pool has a total surface of 10 x 5 m and is placed on a hilly position overlooking the valley. The property includes also a garage of 48 square metres for two cars, as well as a storage for tools and garden equipment and a technical room. 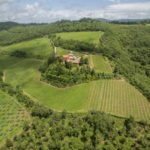 The villa is completed by 4 hectares of agricultural land. 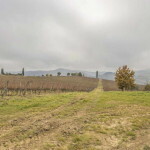 LOCATION Hilly, panoramic position. A few kilometres from the historical centre. FEATURES Original construction, ceilings with wooden beams and terracotta tiles, terracotta flooring, private chapel. Alarm system, lighting system, irrigation system. Bedrooms: 7 Bathrooms: 6 Plot Size: 40000 m² Living Area: 500 m² Heating: Radiators Property: Original construction, ceilings with wooden beams and terracotta tiles, terracotta flooring, private chapel. Alarm system, lighting system, irrigation system.